THE READERS RAG: "THE TRUTH" BY JEFFRY W. JOHNSTON: A MUST READ! 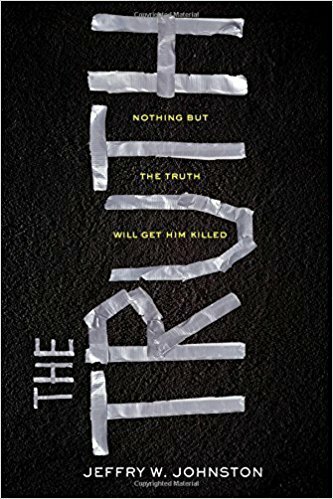 "THE TRUTH" BY JEFFRY W. JOHNSTON: A MUST READ! Why did I choose to read "The Truth" by Jeffry W. Johnston? 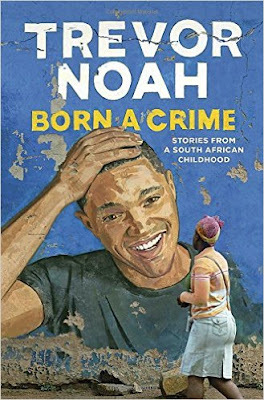 The fact is, I absolutely was not going to read this book. I looked at it. To me it appeared to be a kid's book hardly worth the time and I'm a very busy lady. But talking about "The truth", here is a true story. The book kept on calling out to me as I passed it on the display table. It said, "Read me, pleeeeaaaasssse read me!" I work at Barnes & Noble every day getting my writing done. What happened is, every time I walked by the table, the book was a magnet vibrating and expanding in size before my very eyes. I'd find myself standing next to it caressing the cover, picking it up, turning it over, reading the blurb on the back, putting it back down, and doing the same thing the next day. Bottom line guys, I had to read this book. It held a gun to my head and forced me to. Honest to God. I know you don't believe me, but its true. Ok, now I can't shut up using variants of the book title to explain myself to you in the opening paragraphs of this book review. I'm doomed! "When Chris wakes up in a dark basement tied to a chair, he knows that he's trapped--and why. Eight nights ago a burglar broke into Chris's home. Eight nights ago Chris did what he had to do to protect his family. And eight nights ago a thirteen year old runaway bled to death on his kitchen floor. Now Derek wants the truth about what really happened that night. He wants proof that his little brother didn't deserve to die. For every lie Chris tells, he will lose a finger. But telling the truth is far more dangerous..."
Ok, I'm totally hooked. What is going to happen? I am just dying, absolutely dying to know. If you, like me, purchase the book to find out, you will definitely not be disappointed. Trust me. I just finished it, and I know what I'm talking about. This is a fun, fun, fun, intense, emotionally satisfying book about love, and loss, and loyalty to the people you love. And by the way, this is Jeffry Johnston's second book. His first book "Fragments" sounds equally tantalizing. I also want to compliment the production team on this book. What a great cover! It looks like the title was written on a chalk board. Also, the cover has a funny texture to it so it actually feels like a chalk board! And the title was done in raised print. Very, very nice. Very creative. Thank you, also, for the nice large clear print--an old lady like me, and I'm certain young folks highly appreciate that. Anyway, let me get more into who Jeffry W. Johnston is. He doesn't have much information about him out there, which is rather disappointing. What is the matter with marketing--asleep at the wheel, no doubt! Nonetheless, for what it is worth, I note he lives in Philadelphia with his wife and teenage son. He has written a bunch of short stories. His first young adult novel "Fragments" which I mentioned earlier, was published by Simon and Schuster and won an Edgar Award and was a Quick Pick for Reluctant Young Readers selection by YALSA. I can see why. I'm not even reluctant and I was totally absorbed by Johnston's book "The Truth." He's definitely got that "something" which makes a natural born storyteller. I look forward to seeing great things from him in the future. As for Sourcebook Fire, the company that published Jeffry W. Johnston, I congratulate them for having the smarts to take him on. Sourcebook, for those who are interested, is an independent book publisher based out of Illinois. They seem to be a very innovative, author focused company, but that's just my impression. As an aside, I noticed that Sourcebook published a really excellent book entitled "Poetry Speaks" which consists of a wide selection of American poetry in print accompanied by a CD of the poets reading their work out loud. I actually love that book so much that I purchased it twice, the second time after I wore the first book out. I'll bet Sourcebook is a very exciting publishing company to work with--that's just my impression. So for you authors looking for a good publishing company to work with, keep that one in mind.